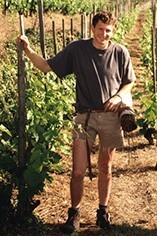 The Wine Advocate - The top cuvee, the 2007 St.-Joseph Le Paradis St.-Pierre, comes from the granite hillside vineyards of Mauves and Tournon. An elegant bouquet of raspberries, black cherries, crushed rocks, and spring flowers is followed by a medium-bodied, Burgundian-styled red that should provide plenty of pleasure over the next 5-7 years. 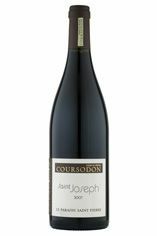 Parker - The top cuvee, the 2007 St.-Joseph Le Paradis St.-Pierre, comes from the granite hillside vineyards of Mauves and Tournon. An elegant bouquet of raspberries, black cherries, crushed rocks, and spring flowers is followed by a medium-bodied, Burgundian-styled red that should provide plenty of pleasure over the next 5-7 years.